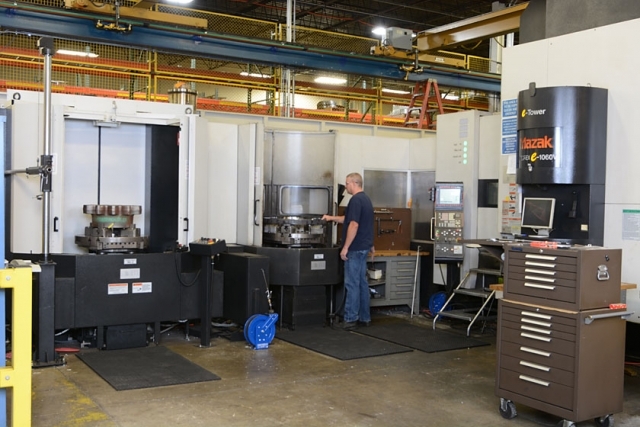 Multi-Tasking CNC Machine Centers | Snyder Industries, Inc. Some of Snyder’s most recent equipment additions have included the Mazak E-1060, the Mazak Ultra-650, and the OKK HM1000S machining centers. 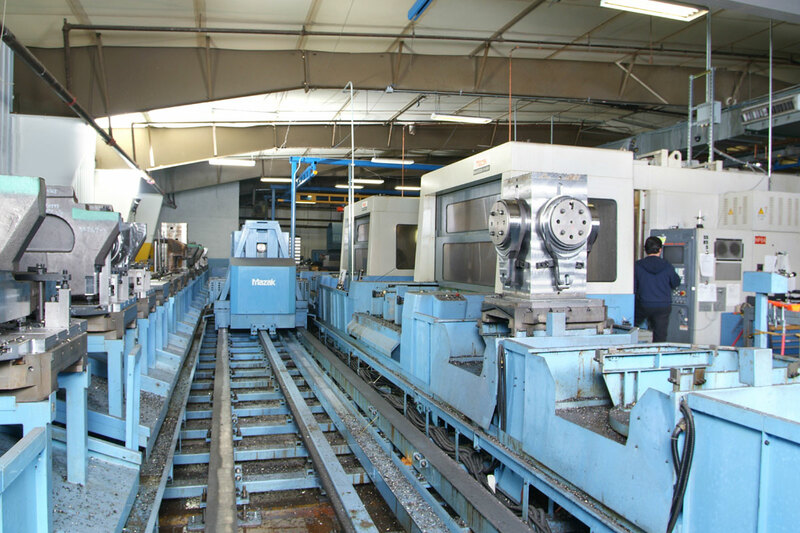 These combination machining centers and turning centers, are by far the most advanced multi-tasking machines in the industry. The Mazak 5-axis system has rotary tables and tilting spindles capable of turning, milling, boring and drilling large diameter work pieces with a single setup, offering a true “done-in-one” machining process. 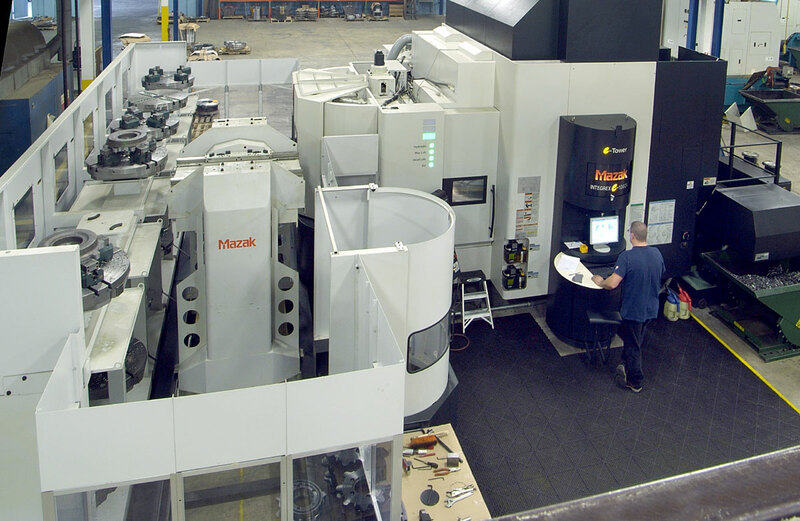 In addition these Mazak units are equipped with support systems that enable hours of continuous uninterrupted operation. 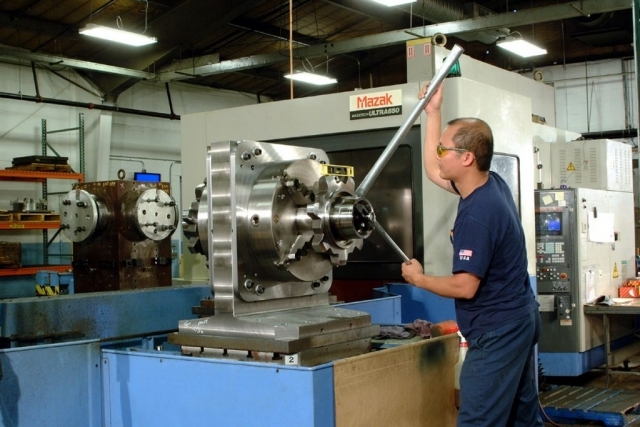 The Mazak 120-160 count tool magazines and automatic tool changers pre-load tools for different work pieces or provide back up tools as needed. 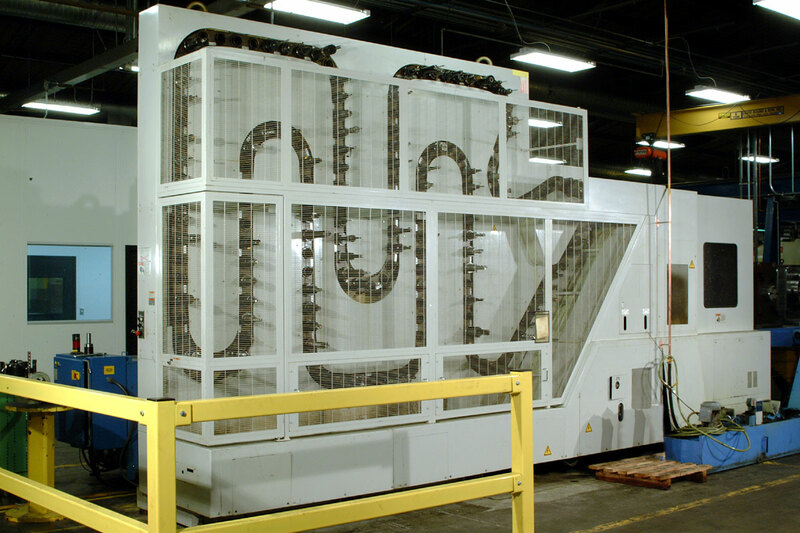 The Paletech pallet-loading system serves the machining center with parts that have been pre-loaded, programmed, queued and prioritized. The Mazak system automatically unloads the finished part and loads the new part in seconds. The E-1060 features a robot and 12-station, two-level pallet system with enhanced loading and unloading capabilities. The entire operation is overseen at the E-Tower command station which gives the operator complete control and constant reports on the machining progress. The system can also be accessed and monitored off-site if necessary. 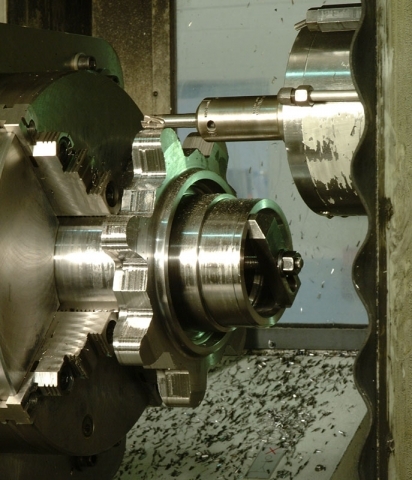 New concepts in high-speed machining offer drastic improvements in speed, rigidity and durability over other machining centers. The OKK HM1000S offers the fastest and most powerful capabilities in its class, while providing Snyder Industries easy access, maintenance and continuous trouble-free operation. 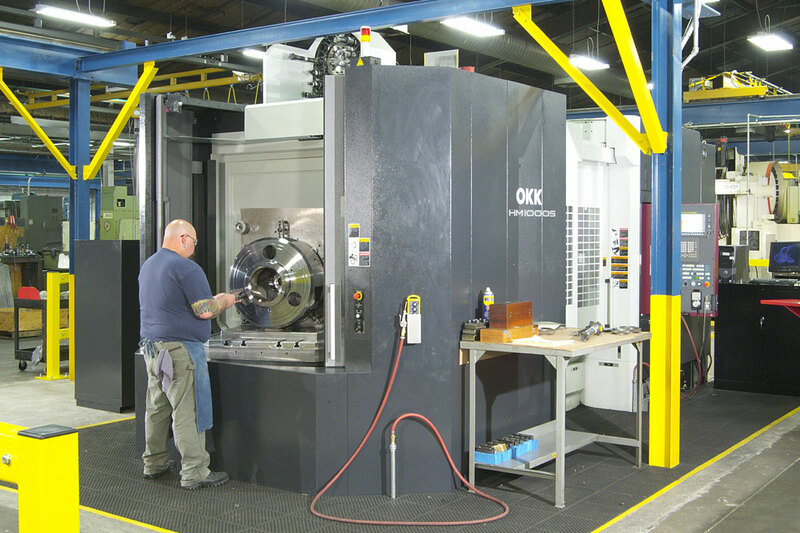 OKK’s original high-speed synchronous tool changer ensures tool change operations and unmatched durability and speed (2 seconds tool-to-tool speed). The 1000 mm (39.4″) square pallet is capable of loading 1200 kg (2645 lb) and a large-size workpiece of maximum of 1110 mm (43.7″) in height. 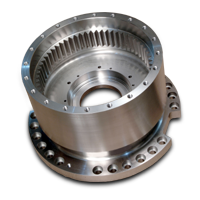 The flushing coolant on both sides of the bed removes chips completely, and the steel angle side shutter protects the Z-axis slideway.